Ready for 2019 work season ? 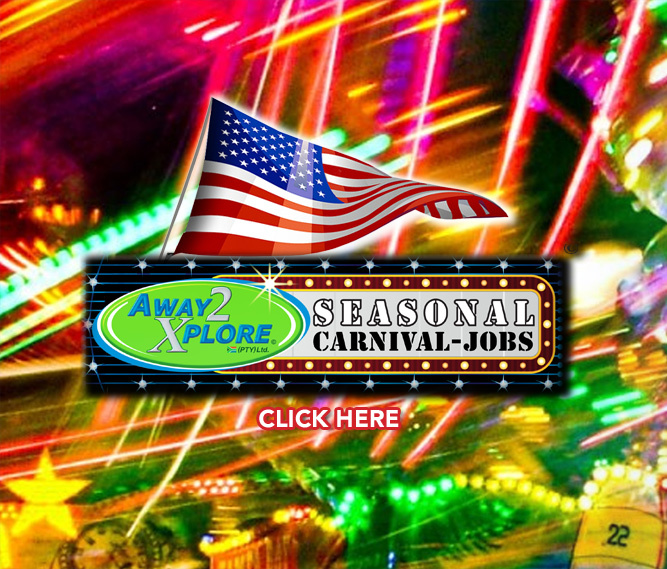 With Away2xplore overseas work adventures, you will be working for Carnivals and Amusement parks overseas. Away2explore is the answer to how to get a job in America We provide employment for South Africans going abroad to workaway from home. 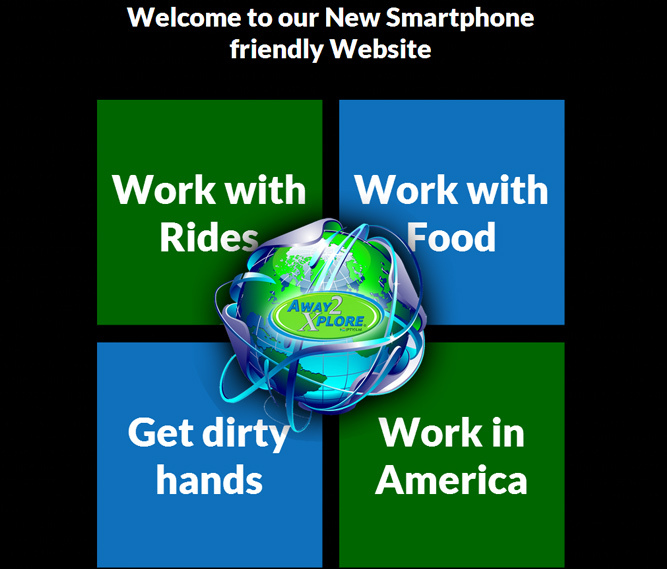 Work and discover new horizons, while having the time of your life abroad, working on Carnival thrill rides as Ride operators or Ride attendants. Amusement park work includes making funnel-cakes candy floss, but also operating big wheels and rides, such as the freak out and Matterhorn. Working as a ride attendant on the fireball or any other big ride is a nice mix of physical, get your hands dirty work, during set up and tear down, while working with people when the Amusement park is open. Working as a food worker in a food joint, making hamburgers, pizzas, funel cakes or Deep Fried Oreo's, one will not go hungry. Hygiene and customer service are very important when you are doing this work. Working on a Carnival is hard work which seperates the boys from the men. Its not for sissies and if you are not mature, with a little work experience, chances are quite big, you will not make it doing this job in America. There are many choices to go work overseas to work and travel abroad. In America one can try secure a Hospitality job on a Golf course, Country job employment, Ski resort, Working on oil rigs, or Work at a carnival like the ones contracted to Away2Xplore, Werkoorsee and Jobs abroad. Working for a season with one of our employers guarantees you a season of hard work, fun and travel all over North America. Currently your American dollar pre tax montly wages, translate to between R 18 000 and R20 000 per month, or R 160.000,- over 8 months, something imposible to earn in South Africa for most of you !! Travel and work abroad for the money, the fun, the girls or the experience. Your bunkhouse accommodation is usually cheap or free in most cases. Water, lights and transport are often park of your benefits / perks, which you don't pay for, yet still add value of hundreds of Dollars, to your income package. If you have an international drivers Licence, sometimes you can help drive Vans and make extra money. Going home at the end of your work contract with anything in your pocket between R 20 000 and a R 120 000 saved up is something we often hear. 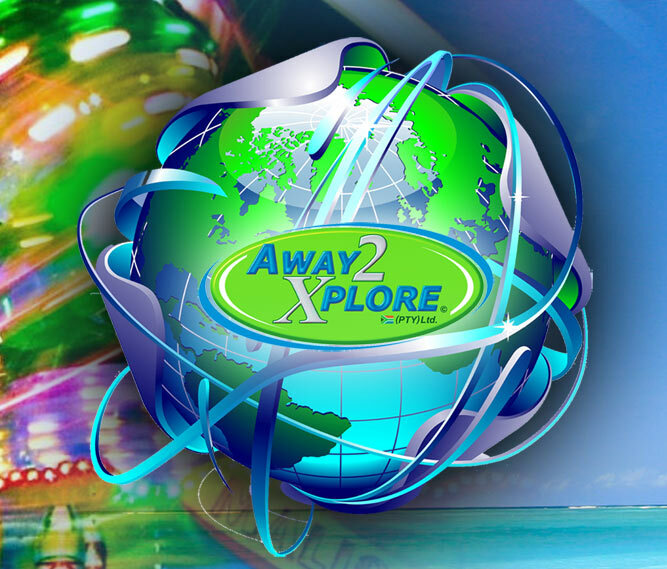 Away2xplore invented the Airfare sponsored carnival jobs in America 15 years ago, and has since helped thousands of South Africans with well paid carnival jobs in America earning big bucks. North American Midway entertainment is the largest traveling carnival in the world, and is contracted to Away2xplore for many years now for its South African crew. N.A.M.E demands an established recruiter, that is consistant, reliable, trustworthy and selects only the best, most suitable recruits for employment USA. South AfricanTruck drivers with an existing CDL are welcome to apply, for one of our carnival jobs overseas. However, vacancies such as refrigeration and air conditioning technicians, as well as PLC programmers are also in demand in Canada. Some of our jobs are suitable for couples and include accommodation at the work place.Looking to Work abroad, through an established company, with a proven Support base and Sound reputation ? Are you, Mature, Healthy and fit, not scared of some Hard work, you Speak English, are Drug free and,..... you are between 19 and 29 years old,.....and you posess a passport ?......Then you want to Apply now ! Over the past 15 years, we have placed thousands of young South Africans, at traveling Amusement parks all over America. Selected American employers, through us, we pay your return air fare, work permit and our program fees We have sponsored travel expenses since 2002 having made it affordable for thousands of South Africans to obtain work overseas, earn dollars, while experiencing an adventure of a lifetime Our countrywide team of interviewers is waiting to meet you right now Away explore, Betrekkings vakant, Betrekkings in Amerika, Ek soek werk oorsee, Stroop werk in amerika, Werk en reis in Amerika, Work overseas, travel expenses sponsored, Work in america for a year, work in america for 6 months, work in america for South Africans, work abroad, travel ork abroad, ride attendent jobs in america, ride attendent work in america, ride operator jobs in America, ride operator jobs in America, ride operator work in America, Work for the biggest show in the world, ride attendent jobs in america, Work for the coolest Carnivals from next month, Betrekkings in Amerika, Betrekkings vakant in Amerika, Plaas werk in Amerika, carnival work in america, travel and work abroad, Travel work abroad, Werk oorsee, Werk in amerika, Amerikaanse werks geleenthede, Pretpark werk in Amerika, Reisende pretpark werk in Amerika, Boer in Amerika, Agriplacements, Agricultuur werk in, Ek soek werk in amerika, Vind werk in amerika werk-oorsee.co.za, werk-oorsee.com, werkoorsee.co.za, werkoorsee.com, ride attendant jobs work in america, operator jobs in America, Cruise ship employment for South Africans, Ski resort jobs for South Africans, Work for the biggest show in the world ! Work for the coolest Carnivals in America from early 2019 !